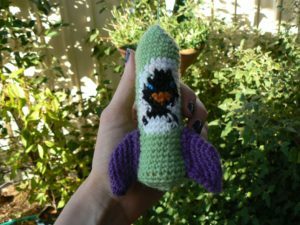 The rattle part is created by putting lentils (or rice, dry beans etc) inside a mini m&ms tube. 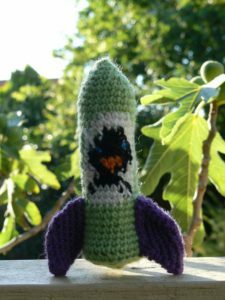 You then crochet a cover to make the tube look like a rocket with an intrepid penguin astronaut peering through the window. 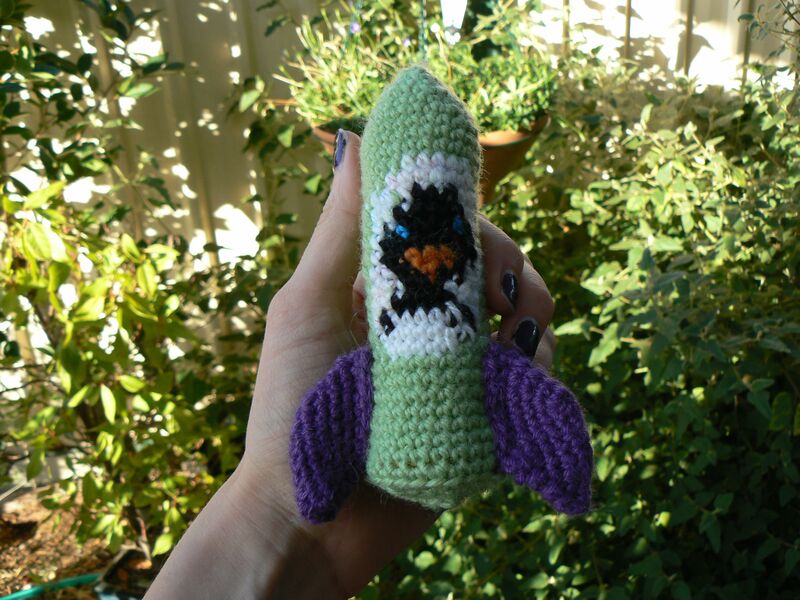 This pattern uses a 3.5 mm hook green, purple, black, white, orange and blue 8 ply wool. 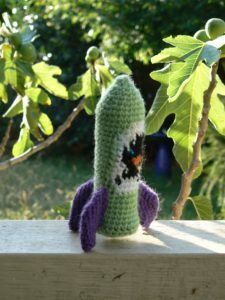 The pattern is written in American crochet notation and the finished rocket is 14 cm tall. Put something rattly (I chose lentils) inside a mini m&ms tube and close the lid. Put some stuffing in the nose cone then put the m&ms container (lid facing down) inside the crocheted cover. Sew the fins onto the rocket. They should be roughly evenly spaced.